"Picky bastards aren't they?" yelled the angler across from me. 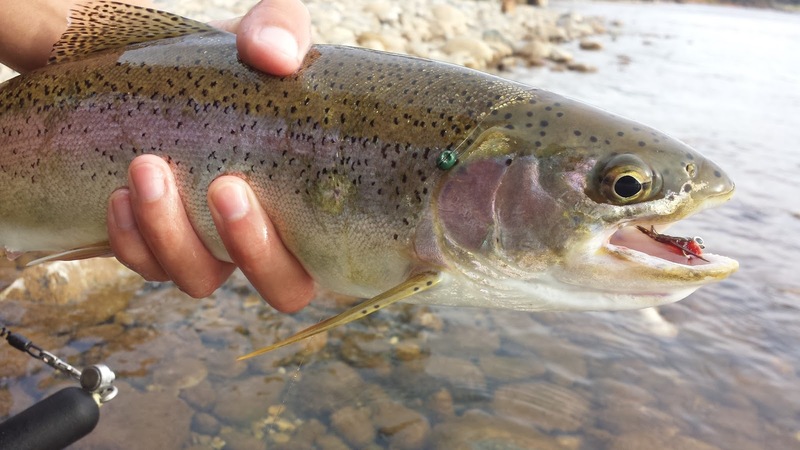 We were both standing in a cold winter flat casting dry flies to rising fish. The sky was overcast and fish were in a frenzy slashing, sipping, and splashing the PMDs that were sailing down the river. The only PMD dry that I had in my box was one that I had taken off a trout's back earlier in the day. Needless to say I was totally unprepared. After casting at countless risers for about twenty minutes and not generating any interest, I stopped and changed my presentation. I added some more tippet and changed my cast. The river was flowing downstream to my right which made it tough to get a drag free drift since I cast over my right shoulder. This cast always ended in a swing which the fish were not interested in. I started casting over my left shoulder and was finally able to achieve a longer and better drift presentation. After a few casts I finally rose a fish... that I immediately lost. Check your knots! That was it, my one PMD dry. The day before a storm is always one of the best times to be on the water. 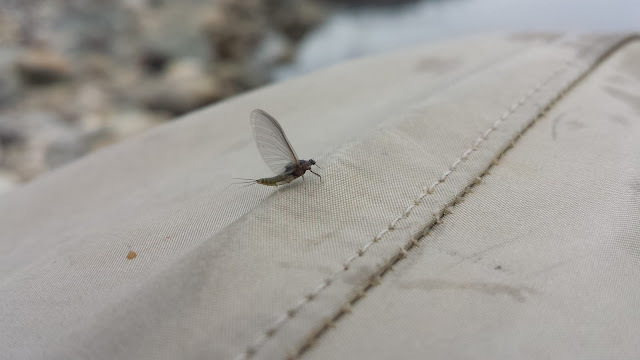 My day started lower downstream where I was hoping to catch the BWO hatch. I arrived a bit too early so I decided to give my alevin pattern a swing. After swinging through a few riffles I got a solid bump. I wasn't too sure whether or not I had snagged something but I set the hook just in case. Zig! Goes my line. I could feel the power of the fish's head shake so I was pretty sure I hooked a trout. Zig! Downstream it went and all the way into my backing. As I got it closer to the surface I got a quick glimpse of its tail. A rainbow and it's a big one. The BWO hatch came but the fish weren't rising. 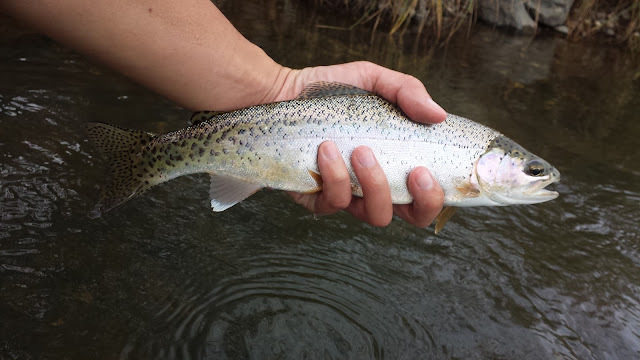 Instead of waiting I drove upstream to the flats that I fished before. This time I came prepared. The fish were rising like crazy again, one after another. 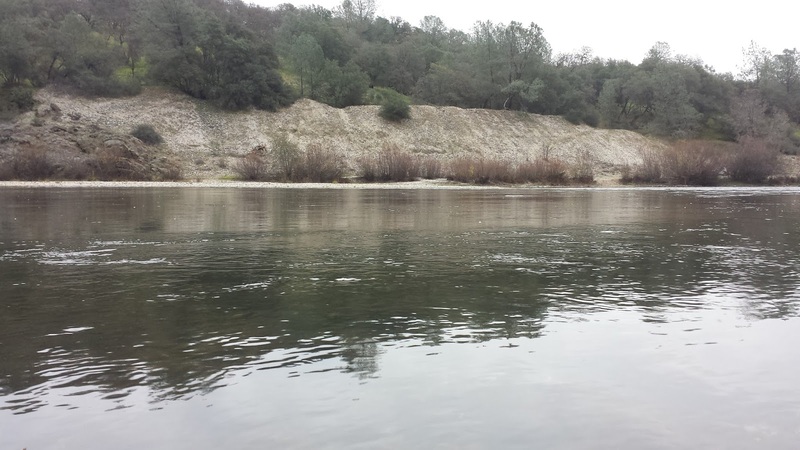 This is quite a rare and amazing phenomenon on the Yuba whereas I have only seen this happen about four times. These risers tend to give off the impression that they are carelessly coming up for whatever comes their way but this is entirely false. A perfect drag free presentation was still important. I presented my dry with the same technique I used last time and was able to rise and hook three. Hunting heads has never been so fun.